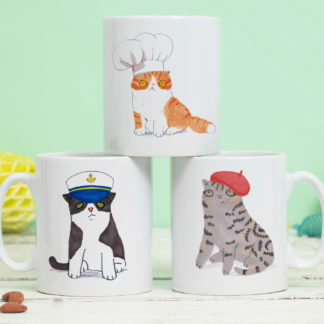 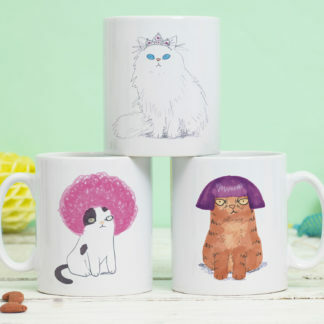 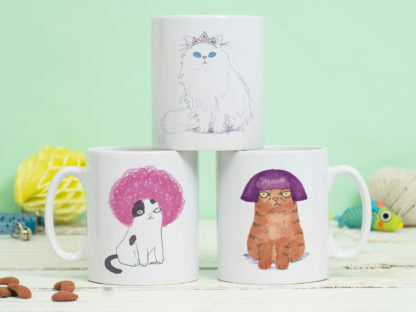 This super cute white ceramic cat mug features three adorable cats wearing a pink afro wig, a purple bob and a tiara. 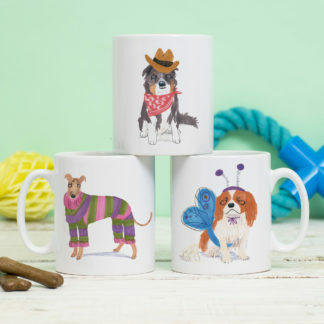 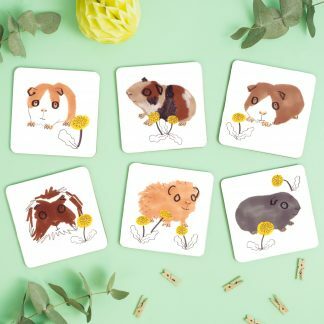 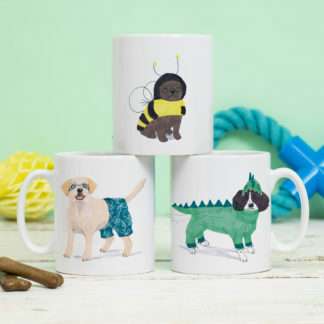 Each mug has three illustrations wrapped around the body of the mug. 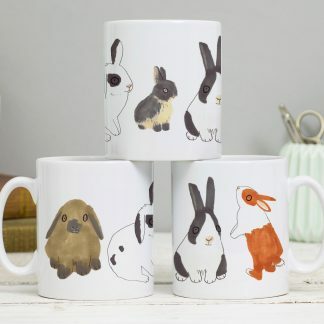 Please note this listing is for one mug.